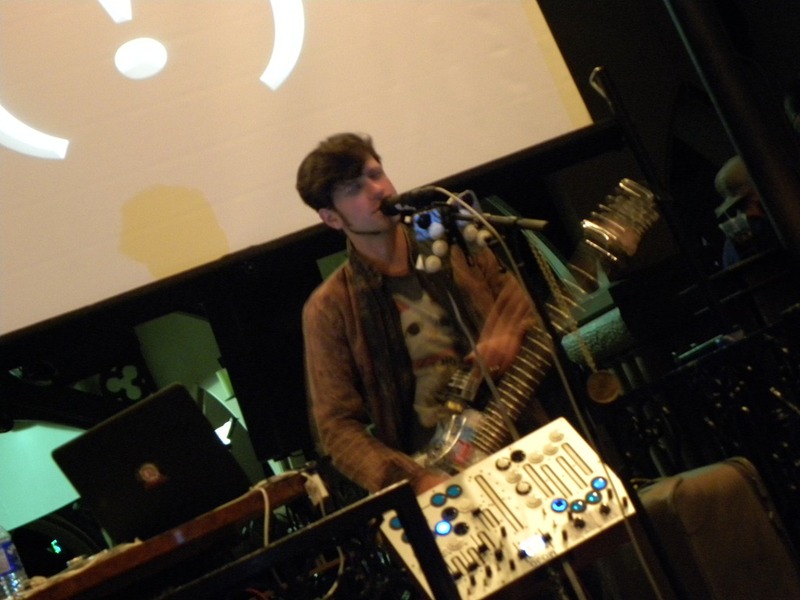 Photos from The Fantastic Moldover Workshop in Denver. 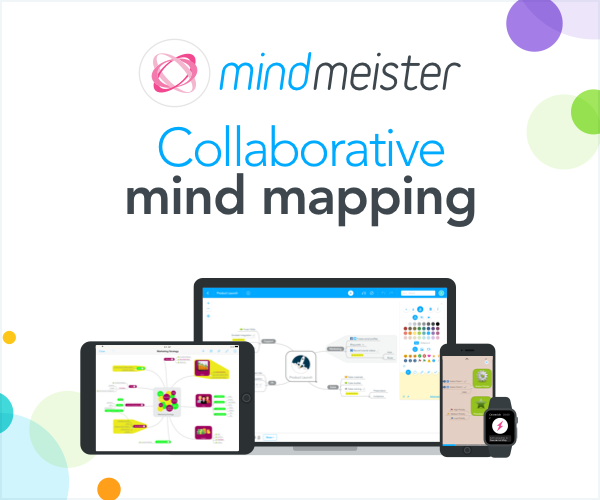 Watch for a Workshop In Your City. Moldover is on tour and made a stop in Denver to perform a show and give a workshop at The Church nightclub in Denver last night. A big thanks to Marc Wei of Ableton Colorado for behind-the-scenes work to pull this workshop together in Denver. 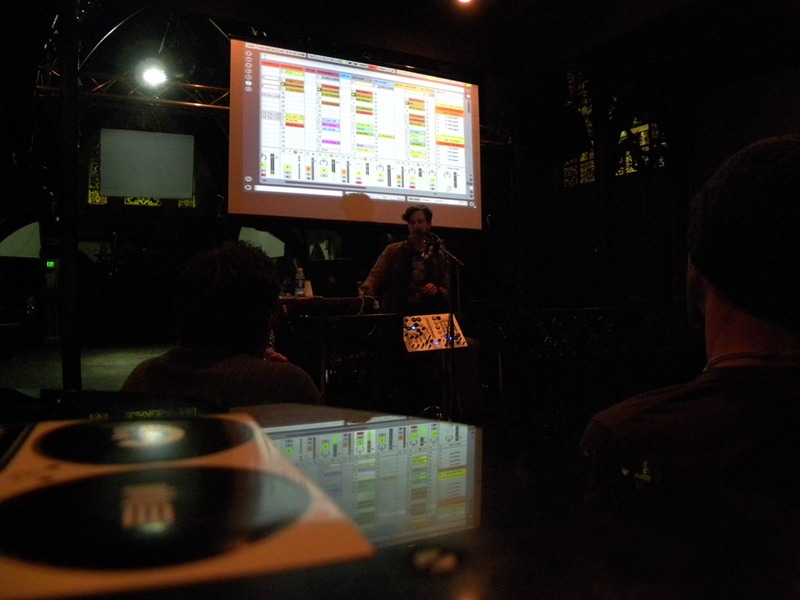 Moldover’s workshop offered a nice blend of topics including controllerism, controller building, real-time effect processing on vocals, Ableton, workflow, creativity, personal productivity, song writing, and touring. I highly recommend you attend one if you get the chance. Checkout his tour page for a calendar. Throughout the workshop he performed some songs using a custom Guitar (Robocaster) with buttons, joystick, and accelerometers; the MOJO customer controller; and a new prototype of a vocal controller called the MOJITO that is clamped to the mic stand. Here is a close-up shot of the MOJO which has buttons, knobs, switches, sliders and touch strips. 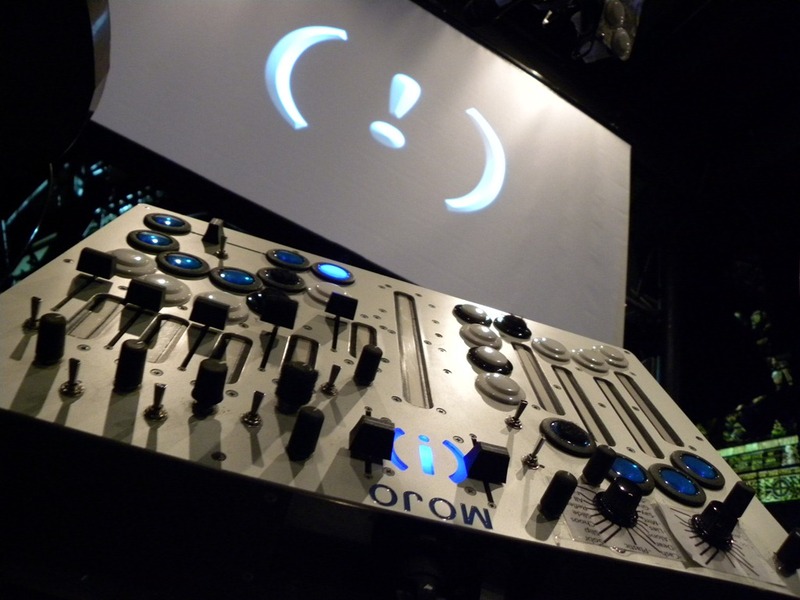 It is built around the notion of 4 tracks of real-time controllerism and playback control (inspired by 4 track tape deck work). Each type of controller is assigned a specific type of role. For example touch strips control tonal modulations. There were lots of behind-the-scene looks at his Ableton sets. During and after the workshop Moldover took the time to answer questions. 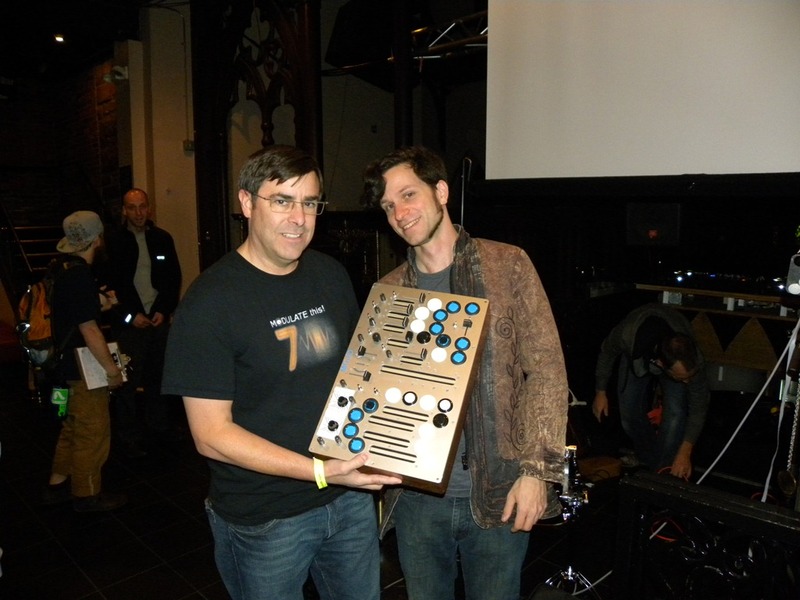 It was so great to meet Moldover in person after all these year. He was a huge inspiration for my controllerism work, rig, and the 9 Box Casual instrument. Checkout this flickr set for more photos. Yeah it was a great workshop! That looks like it was a fun night man!